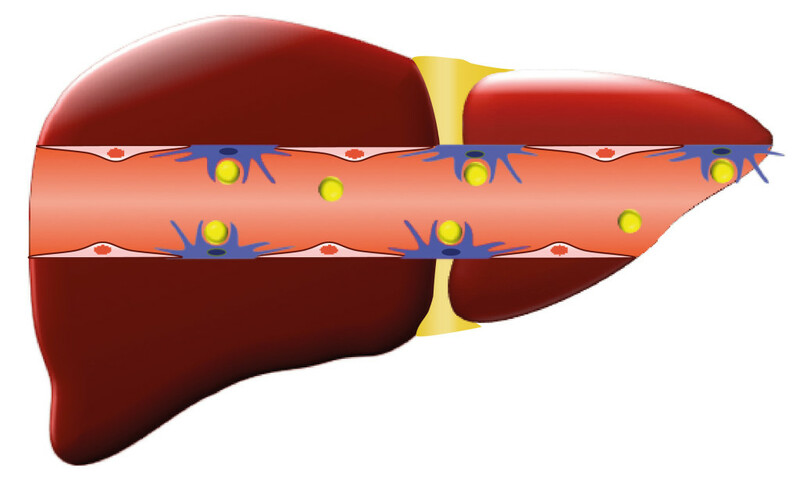 A recent study shows that a 70 year old malaria drug can clog immune cells in liver so nanoparticles can reach their intended tumor site, overcoming a significant complication of targeted drug delivery, according to a team of researchers study. In general many cancer patients do not respond to chemotherapies because the drugs not ever reach the cancer cells. Even in nanomedicine, this is the one of the best drug delivery method to a cancer cell or tumor, about only one percent of a dose of nanoparticles will fortunately reach the intended tumor site, while the remaining are filtered out by the spleen and liver cells. By using chloroquine, the researchers not only increased the circulation of nanoparticles in the body, but also decrease the body’s filtration of nanoparticles, and even improve the drug delivery to breast tumors. This study was recently published. A researcher study laid in United States showed that choloquine interfere with macrophages (Immune cells), which are used by the body to identify and destroy the foreign objects which enters the body. In present study, mice models will be injected with Chloroquine injection, followed by an injection of nanoparticles. These results, chloroquine decreases the macrophage ability to clean up nanoparticles. The findings are significant, because the nanoparticles not only remained in circulation, but also accumulated in mouse tumors, as well as in the lungs of healthy mice, suggesting that the approach also may enhance treatment for lung diseases. Chloroquine was invented in 1940s for the prevention of malaria. Since it mildly suppresses the immune system, the drug also is used in some autoimmune disorders, such as rheumatoid arthritis and lupus. A part from this research, the drug is also being studied in other cancers, such as triple-negative breast cancer and pancreatic cancer. By considering the founders of nanomedicine and transport oncophysics, researchers need to understand the limitations of transport mechanisms to identify effective immunotherapy treatments for patients.